Writing a custom papers is to hard since they require lot of research. It is not all about collecting facts and then reframing them. The reason of that research is to lift up your scrutiny and understanding level. You are comprised to write custom papers in the accurate way, because exact kind of research will provide you the most excellent results. The information you gaher must be real and based on the genuine data. This will assure thereliability of your work. If you provide the false references and make up itas a fact then you are probable to lose points. As a result, spend some quality time on researching and writing custom papers. For these past 17 months we have been living in a sad limbo. In May of 2013 three families lives changed forever when Matthew Jensen broke into their houses and killed and injured their family pets. Yesterday, on October 22 he was finally sentenced to up to 57 months in prison. 57 months. It doesn’t bring back our pups. It doesn’t bring back our feeling of safety. It doesn’t bring back all the innocence and love that we lost. Note: July 2 marks the 150th anniversary of the second day of the Battle of Gettysburg, which was marked by the charge of the 1st Minnesota Regiment down Cemetery Ridge. The Northfield Historical Society will be hosting a talk on the Gettysburg Campaign on Thursday, July 11, at 6:00 pm, at the historical society museum. Meanwhile, it's possible to make a short trip from Northfield, to Cannon Falls, to visit the grave of one of the heroes of the 1st Minnesota. The cemetery is across from Cannon Falls High School on Highway 19, east of Cannon Falls. On July 2, in the heat of the Battle of Gettysburg, Union general Winfield Scott Hancock realized that there was a dangerous weakness near the center of the Union line on Cemetery Ridge. He needed time—five minutes—to shift reinforcements into position to meet the oncoming brigade of 1,600 Alabamans, so he ordered the 262 men of the 1st Minnesota Regiment to charge. 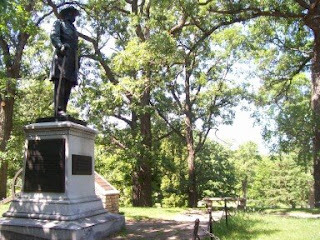 The Minnesotans bought Hancock the time he needed, but only 47 men survived the attack. One of the survivors was the six foot five inch officer who led the charge, Col. William Colvill. Jean Marie Perman was born in Des Moines, Iowa on May 2, 1921 to Hans and Anna Hillestad. She died on April 19, 2013 in Northfield MN. She was 91 years old. Funeral Services will be 10:30 am Saturday, April 27th at St. John’s Lutheran Church in Northfield with burial at Oaklawn Cemetery. Visitation will be 4-7:00 Friday, April 26th at the Bierman Funeral Home in Northfield and at the Church on Saturday from 10 until the time of Services.